It’s finally happening! Almost three years since it was confirmed for Australia, the Honda NSX has started rolling off the production line. “We expect production cars to arrive late this year, most likely in November,” said Honda Australia boss, Stephen Collins. Honda’s Ohio, USA, factory is responsible for building the world’s supply of the NSX at a rate of eight cars per day. How many of those will be right-hand drive and sent to Australia depends on how many Aussies order them. Unpredictable exchange rates have prevented local pricing from being confirmed to date. How much the car costs is set to have the biggest impact on the number of cars we can get. Looking at overseas markets and the price tags of other cars here, the NSX could retail for more than AU$300,000. Honda expects final pricing to be confirmed by July, at which point the company will open its order books at just five select dealerships with sales rights for the NSX. There will be one showroom in each of the major capital cities; Brisbane, Sydney, Melbourne, Adelaide and Perth. Up until then Aussie buyers are only able to register “pre-interest”, something dealerships have been doing of their own accord. “We haven’t set numbers as far as monthly or even yearly targets. We’ll sell as many as we can but we expect a waiting list worldwide,” said Collins. 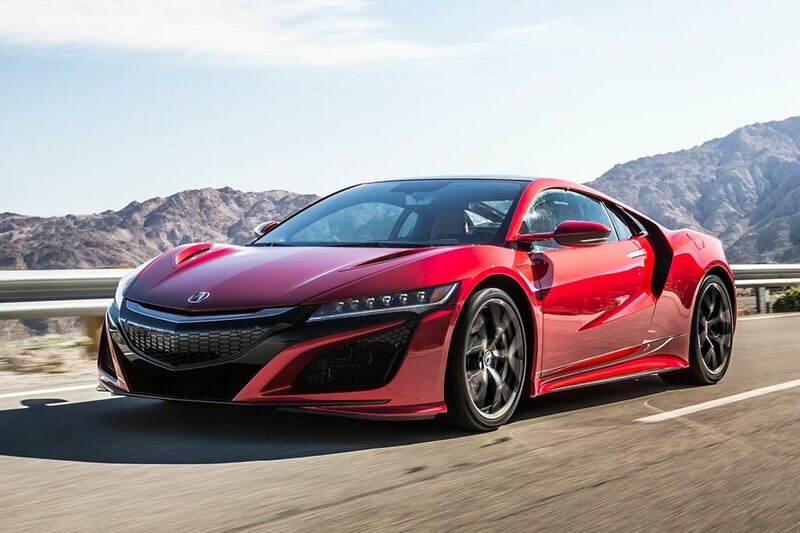 The 2017 Honda NSX uses a twin-turbo V6 engine and three electric motors for a total output of 427kW and 550Nm. Power is fed through a nine-speed dual-clutch transmission and all-wheel drive.